While the economy continues to struggle under the weight of the worst economic crisis in decades, the gaming industry has lagged any semblance of a recovery that may exist. Heavy room discounting and a decline in casino “win” in virtually all major markets outside of Macau leads one naturally to assume that consumer deleveraging and high unemployment have induced more conservative behavior among potential casino patrons. An abundance of cheap high end rooms available in Las Vegas and expansion of gaming in Pennsylvania have driven a 11.1% year over year decline in casino earnings. Casino revenues have dropped precipitously to $3.9 billion last year, the lowest level in over a decade and 25% lower than the $5.2 billion peak in 2006. The vast majority of the casinos have done little to dispel the image of Atlantic City as a seedy economically depressed area, and a decline of 12,000 casino jobs will do little to foster organic economic activity. The legalization of table games in Delaware and Pennsylvania will further challenge Governor Chris Christie’s Atlantic City revitalization efforts in a saturated mid-Atlantic gaming market. 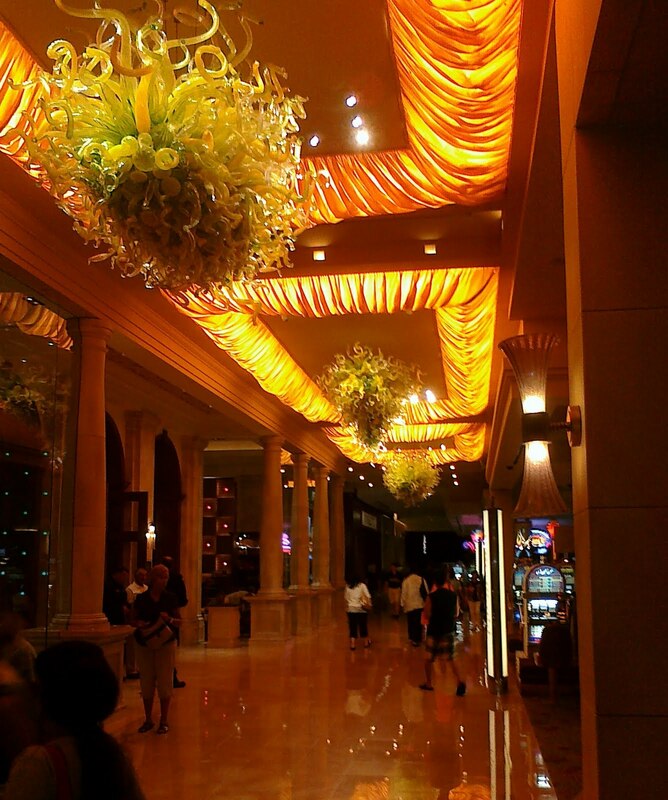 The one bright spot in an otherwise downtrodden Atlantic City gaming market is the Borgata. Opened in 2003 after a 13 year dearth of new construction, this joint venture between gaming giants MGM and Boyd Gaming brought a high end Las Vegas style resort to Atlantic City. Located off the boardwalk, the Borgata was supposed to usher in a new era in Atlantic City but now stands as the lone ray of sunlight in an otherwise less than impressive destination. The Borgata has not been immune to the woes of the gaming industry suffering a similar 12% decline in casino take year over year (as of June), but was quite lively on a Sunday and Tuesday evening in late July. The warm summer has driven people to the beach and it appears that many South New Jersey visitors have sought out entertainment and dining options that the Borgata provides. Both Michael Mina’s SeaBlue restaurant, also a fixture of MGM’s Las Vegas resort, and Bobby Flay Steak provide a high end dining experience and a respectable wine list to South Jersey Shore visitors. The Italian style decor of the hotel and casino is reminiscent of MGM’s Bellagio Hotel and Casino in Las Vegas. MGM’s recently announced sale of the land under the Borgata to New Jersey based Vornado Realty Trust, part of their agreement with the New Jersey Division of Gaming Enforcement to divest themselves of the majority of their Atlantic City assets, raises serious questions about the future of Atlantic City. By driving out one of the leading gaming companies from the market, New Jersey regulators could destabilize the market and discourage much needed capital investments. The Governor’s plan to revitalize the area and focus Atlantic City tax dollars on redevelopment, essential services, and infrastructure investments could be just another ill fated attempt to resurrect gaming amidst a challenging economic environment.